It is possible to approximate artistic images from a limited number of stacked semi-transparent colored polygons. To match the target image as closely as possible, the locations of the vertices, the drawing order of the polygons and the RGBA color values must be optimized for the entire set at once. Because of the vast combinatorial space, the relatively simple constraints and the well-defined objective function, these optimization problems appear to be well suited for nature-inspired optimization algorithms. 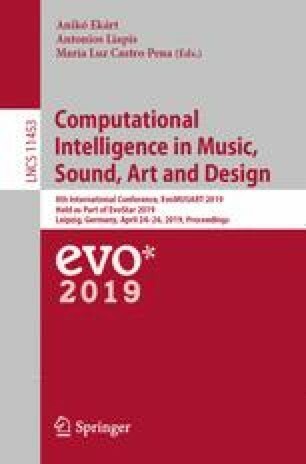 In this pioneering study, we start off with sets of randomized polygons and try to find optimal arrangements for several well-known paintings using three iterative optimization algorithms: stochastic hillclimbing, simulated annealing and the plant propagation algorithm. We discuss the performance of the algorithms, relate the found objective values to the polygonal invariants and supply a challenge to the community. We would like to thank Abdellah Salhi (University of Essex) and Eric Fraga (University College London) for their unrelenting willingness to discuss and explain the plant propagation algorithm. A big thanks also goes to Arnoud Visser (University of Amsterdam) for providing some much-needed computing power towards the end of the project, and to Jelle van Assema for helping with the big numbers.